Actor John Abraham and director Nishikant Kamat have been friends for years but the two will go head to head onscreen in the upcoming ‘Rocky Handsome’. The film, set in Goa, Mumbai, Pune and Seychelles, traces the journey of a man who goes on a rampage when the only person he cares about (a little girl) is kidnapped. Nishikant, who has directed the action thriller, also plays the antagonist — a Goan ganglord, Kevin Pereira. His assistant directors believed that, since he knew the script inside out, he was the right choice for the role. Asked about it, Nishikant says, "I'm confident in front of the camera, but acting and directing simultaneously can be scary." Talking about his friend, director and now co-actor's look and performance, John Abraham says: "When I learnt that Nishi would play the villain, I was quite excited. When I saw him getting out of his vanity van on the day of the shoot, sporting a baldpate and suit, I thought he looked mean. You need a strong bad guy to stand up against Rocky Handsome and he is the man to watch out for." 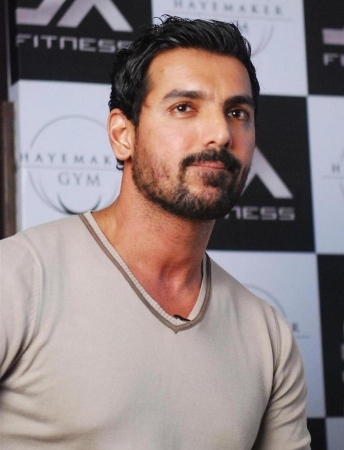 Rocky Handsome releases on 25th March 2016.